Bengaluru Football Club came together to celebrate yet another successful season, and reward top performers at the club’s Annual Awards Night, held at The Ritz-Carlton Hotel, in Bengaluru, on Sunday. Defender Rahul Bheke was named the Players’ Player of the Season and also picked up the Goal of the Season award for his headed winner against FC Goa in the final of the Indian Super League. 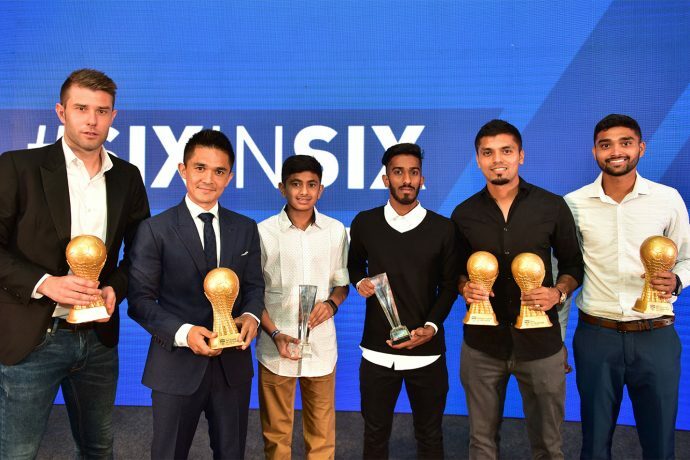 With 10 goals across two competitions, skipper Sunil Chhetri claimed the top scorer award for a sixth season in a row, while Juanan Gonzalez named the Kingfisher Fans’ Player of the Year, in a poll conducted online. Versatile defender Parag Shrivas was named the BFC B Player of the Season, while midfielder Amay Morajkar picked up the U18 Player of the Year, for his promotion to the BFC B side. BFC U18s goalkeeper Dipesh Chauhan and U13s midfielder and captain Gautam Rajesh were named Player of the Season in their respective categories.